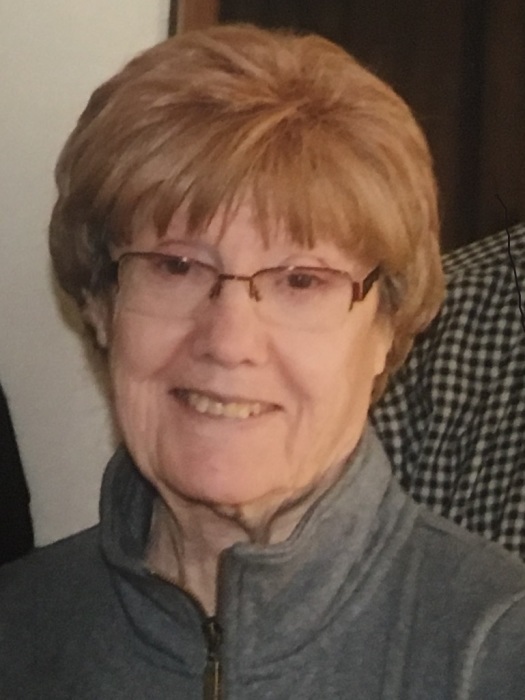 Obituary for Irene C. Steiner | Arthur F. White Funeral Home, Inc.
Steiner, Irene C. of Farmingdale,on March 21, 2019. Beloved wife of the late Merle G. Loving mother of Paul, Alan (Maureen), Todd (Michelle), Joan Messina (Vito).Proud grandmother of Matthew, Caitlin, Patrick, Dylan, Kelsey, James (Sarah), Joelle, Leo and Alyssa. Dear sister of Alice, Ronnie, Lois and pre-deceased by John. The Family will receive friends Monday, March 25, 2019 from 4-8 pm at the Arthur F. White Funeral Home Inc., 315 Conklin Street (Hempstead Turnpike), Farmingdale.A Religious Service will be held Tuesday, March 26, 2019, 11 am at St. Lukes Lutheran Church Farmingdale. Interment will follow at Pinelawn Memorial Park. In Lieu of flowers donations can be made to Alzheimer's Association, 425 Broadhollow Rd #307, Melville, NY 11747, Melville NY 11747. Web: https://www.alz.org/longisland/about_us/contact_us.If you are paying by check please put in Melville location in check memo. Or Good Shepherd Hospice, Mercy Medical Center, 2P, 1000 N. Village Ave., Rockville Centre NY 11570, Web: https://goodshepherdhospice.chsli.org/. If you are paying by check please put in Rockville Centre location in check memo. Please make these donations in memory of Irene C. Steiner.